A documentary on the Perak Man that has won acclaim in the recent Archaeology Channel International Film and Video Festival will be aired in Malaysia. I would love to get a copy of this documentary, and if any readers in Malaysia can help out, please contact me! During last weekend’s ceremony to officially recognise the Lenggong Valley as a World Heritage Site, Culture Minister Rais Yatim announced that the Perak Man skeleton will be moved from the National Museum in Kuala Lumpur to the Lenggong Valley, presumably after the appropriate infrastructure has been built within the next few years. The remains of the 10,000-year-old Perak Man are to be eventually returned to the state in which it was found, after the necessary preparations are made. What do Dungeons & Dragons have in common with ancient Indonesian ruins, Malay dances and explosion of the Toba volcano? Why, they’re all in this week’s edition of rojak – and more! Heritage tourism potential in north Malaysia? 25 July 2007 (The Edge Daily) – An editorial feature discussing the tourism potential of northern Malaysia in the light of Visit Malaysia Year 2007. It mentions specifically two locations of archaeological interest: the Bujang Valley at Kedah, which was an Indian outpost under the Chola empire in the 11th century, and the Lenggong Archaeological Museum, home of the Perak Man. You can read more about the Perak Man on this site here (exhibition at the Muzium Negara) and here (podcast). Malaysia will be turning 50 soon with Merdeka Day just around the corner. In celebration of our nationâ€™s five decades of independence, 2007 has been declared as Visit Malaysia Year in a bid to promote Malaysia as a holiday destination of choice. While the country has a myriad of historical sites and recreational spots that could potentially become major tourist attractions, access to funds for maintenance and conservation has not been sufficient in previous years leading to neglect and poor visitor volume. Many of the lesser-known sites are difficult to access without proper signboards and they have not been promoted properly, hence most of the visitors to these sites are domestic tourists with lower spending power. This is disappointing as there are a number of heritage sites in the NCER that meet the listing criteria like the 5th century Lembah Bujang kingdom in Kedah, Suffolk House and Dr Sun Yat Senâ€™s base in Penang which has not been nominated for consideration. Sabah and Sarawak have always been the ecotourism hotspots in the country but the NCER has its own off-the-beaten-path treasures. Caving enthusiasts will be able to enjoy walking through the 370-metre Gua Kelam limestone caves in Perlis, while white-water rafting and treetop walking are available at Sungai Sedim in Kedah. On the other hand, it is little known that Perak has in fact been in existence since the prehistoric age. The discovery of the 11,000-year-old Perak Man in Lenggong Valley in 1991 is still one of the countryâ€™s most significant prehistoric find and yet the archaeology museum in the area has fallen into disrepair. Because of the lack of funds from the poor visitor volume, these potential tourist sites are badly maintained and difficult to find. This has been pointed out by a good number of international visitors who have posted comments of their visit to Malaysia on the Internet. Read more about tourism potential in Malaysia’ northern corridor. 22 June 2007 (The Star) – Which is the birthplace of Malay civilisation – Kelantan or Perak? That is what the state of Kelantan wants to find out, through analysis of archaeological material found in the Nenggiri Ulu Valley. 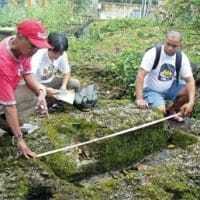 The aim is to shed light on the origin of a pre-Islamic, prehistoric even, civilisation in Kelantan. 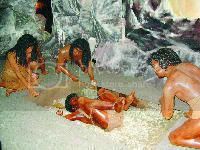 So far, the earliest known evidence of human habitation is in Perak (see the article by Liz Price and the Perak Man podcast). But I’m not sure if the research is looking that far back in prehistoric time (after all, the Perak Man is only one skeleton), or if they are looking for actual “kingdoms” or evidence for civilisations. I wonder why there was no mention of Chitu or Langkasuka, which were most probably pre-Islamic and also was probably situated in the Kelantan region. Still, if there are any researchers wanting a shot to read the archaeological material, here’s your chance! Kelantan is inviting researchers to ascertain archaeological findings that claim that the oldest form of civilisation in Malaysia, besides the oldest human fossils and artefacts, were located in the state. This will put to rest ongoing debates over where civilisation originated from in the country, state museum board chairman Datuk Takiyuddin Hassan said. “Some say the Perak Man is the oldest (10,000 years-old) but we have research evidence to indicate that civilisation began here (Ulu Kelantan) some 12,000 years ago,” he said after opening a month-long archaelogical exhibition of the Nenggiri Ulu Valley, which is a Masters research study of National Museum and Antiquities Department director-general Datuk Dr Adi Haji Taha here. He said the state would welcome input from all, including international researchers and historians to ascertain the claims. 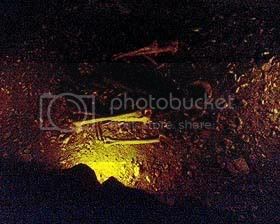 Nenggiri Ulu, which is part of Ulu Kelantan, now called Gua Musang, has a cave system where evidence of neolithic life has been found and the present orang asli community are said to be their descendents. According to Takiyuddin, research done has unveiled strong suspicions that there was a a pre-Islamic Malay Kingdom in Ulu Kelantan from where the legendary Princess Ruler of Kelantan – “Puteri Saadon” – originated from. Read more about the invitation to research Kelantan. IT’S FINALLY UP!!! Okay, not really… It’s been ready since a week ago, but I’ve been having technical difficulties which haven’t fully been resolved yet. But I’ve decided enough is enough, and to upload the podcast anyway. You can hear it at the podcast page. 19/11 Update: After tweaking every possibe setting, I finally found out what was going wrong with the MP3 encoding. You can now hear the podcast from the media player on the website! The SEAArch podcast goes to Lenggong in Perak, Malaysia to check out the Lenggong Archaeological Museum and to also talk about the Perak Man, the oldest complete prehistoric skeleton found in this area. 13 September 2006 (Bernama) – A documentary on the Perak Man is in the works! – and expected to be out on HD no less, in Novemeber. The documentary will also feature other stone-age sites like Gua Cha and Tingkayu. The filming of a documentary on the 11,000 year-old Perak Man, Peninsular Malaysia’s oldest inhabitant, will begin in November. Novista Sdn Bhd managing director Harun Rahman said the company was in the final stage of discussions with the National Film Corporation (Finas) on the script and the filming of the documentary titled “Perak Man”, in High Definition TV. 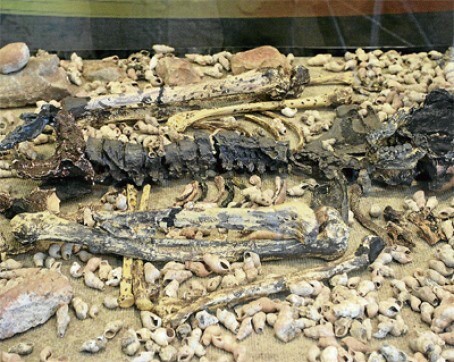 The company had held talks with the Heritage Commissioner of the Culture, Arts and Heritage Ministry, Prof Datuk Dr Zuraina Majid, who led the archaeological team that found the complete skeleton of the homo sapien, Harun told Bernama here. Novista is a local documentary specialist established in 1992, which among others has been involved in natural history, culture, heritage and adventure videos. It has been appointed by the Culture, Arts and Heritage Ministry to do a documentary on the Perak Man as a move to preserve the national heritage of the country for the benefit of the future generations.